L’Wren Scott’s private funeral has been attended by family and friend in Los Angeles, where partner Mick Jagger led the tributes. A family spokesperson confirmed the service at Hollywood Forever Funeral Home included “memories and words of tribute” from Mick Jagger and L’Wren Scott’s brother Randy Bambrough. Mick Jagger’s daughters and grandchildren also gave readings. L’Wren Scott, 49, committed suicide in her New York apartment on March 17. Around 70 people are thought to have attended L’Wren Scott’s funeral, which also featured words from talent agent Justinian Kfoury, costume designer Ira M Hammons-Glass and O Magazine‘s creative director Adam Glassman. Mick Jagger’s spokesperson said poems were shared by actress Ellen Barkin and Mick Jagger’s daughter Karis, while his daughter Jade and grandchildren Mazie and Zak read psalms. The gospel song Will The Circle Be Unbroken was performed by singer Bernard Fowler with Dave Stewart on guitar, and L’Wren Scott’s niece Hannah Bambrough gave a reading of Shakespeare’s sonnet Shall I Compare Thee To A Summer’s Day? 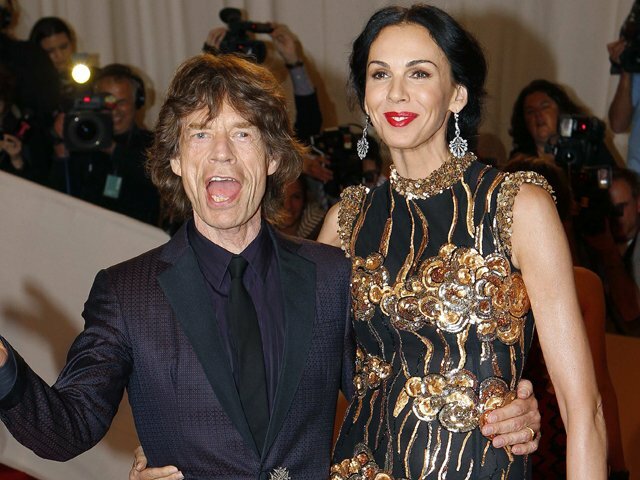 L’Wren Scott had been in a relationship with Mick Jagger since 2001 and designed stage outfits for the Rolling Stones when they performed at Glastonbury Festival and Hyde Park last summer.